When he's not acting, fulfilling his role as Senator of the Philippines or planning his presidential bid, Manny Pacquiao is still an active boxer. Tonight he goes head-to-head with the fearsome US welterweight Adrien Broner – and it's all available to live stream absolutely free, regardless of where in the world you are. Now 40 years of age and moving into his 70th(!) pro career fight, it would be incorrect to say that Pac-Man remains a force to be reckoned with in international boxing and even his huge fight with Floyd Mayweather now seems like a long time ago. But Pacquiao is an undisputed boxing legend – a defending WBA welterweight champion, no less – and his final in-ring appearances should now be savoured more than ever. After breezing past Lucas Matthysse with a knockout last July, Pacquiao faces a sterner challenge in Adrien 'the Problem' Broner tonight. The American is a former world champ in four weight classes and will be keen to cement his own place in history by becoming one of the few men to defeat Pac-Man. The two headline the card at Las Vegas's MGM Grand Garden Arena with the ring walk likely to start no earlier than 8pm local time. That means an early morning 4am GMT alarm (or very late night!). 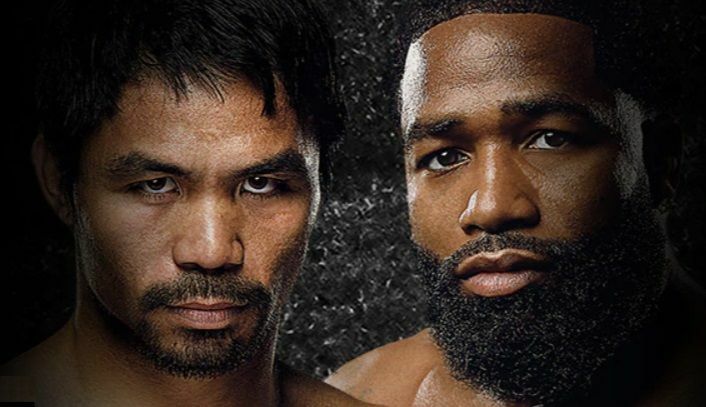 And if you're willing to make the effort to get up at that time, at least we can make it easy for you to live stream Pacquiao vs Broner with our guide to watching absolutely FREE no matter where you are. Fantastic news, fight fans! Somehow, ITV has managed to win the rights to show the Pacquiao fight, which means you can watch the legend go without paying a penny. The action starts at 2am Sunday morning on ITV4 - a freeview channel. Once it's been downloaded and installed, open the app and select a UK server location (it's super easy) and then head over to either of the ITV Hub or (our preferred choice) TVPlayer.com from 4am BST / 11pm ET / 8pm PT / 3pm AEDT in time to live stream the first round. Where else has a Pacquiao vs Broner live stream? As well as being revered almost as a god in his home country of the Philippines, Manny Pacquiao is well loved worldwide. So it's no surprise that this fight is being shown all over the globe. The only problem... it's set for PPV in most English speaking countries. Showtime has taken the opportunity to make this one a PPV across the Atlantic, charging a hefty $74.99! The fight will roughly start at 11pm ET / 8pm PT. As in the US, Aussie fans have a usual go-to PPV channel for its boxing coverage. The appropriately named Main Event service is the place to head for Pacquiao vs Broner in an afternoon slot at around 3pm on Sunday. It'll cost you $49.95 to buy the fight. Sky Arena (Sky TV NZ's PPV station) is showing a live stream of the Pacquiao fight for $34.95, with coverage due to kick off at 5pm on Sunday evening.